Hey! Heeeeeey! Look at me – I’m blogging! It’s been over a year and a half since my last blog post, and so much has happened since then. I’ve switched districts and am no longer a traveling teacher. (I have a room!!!) This has been a blessing for sure, but I’ve been super stressed for the past year between going through an intense interview process, setting up my room over the summer, and navigating being a new teacher again. I hope to blog a bit more about my journey this past year as I have time. Speaking of hopes…. 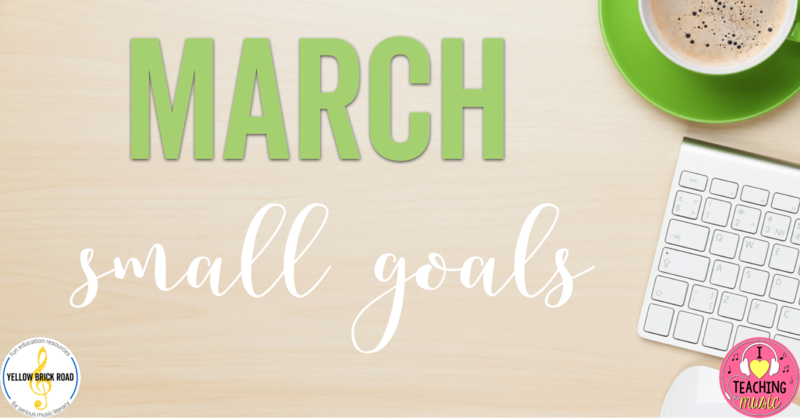 I figured a nice way to ease back into blogging would be to link up with Jennifer over at The Yellow Brick Road Blog for her monthly Small Goals Linky. So, since this is my first Small Goals Linky, I don’t have any goals to reflect on from last month. I guess I’ll cut straight to making goals for this month! 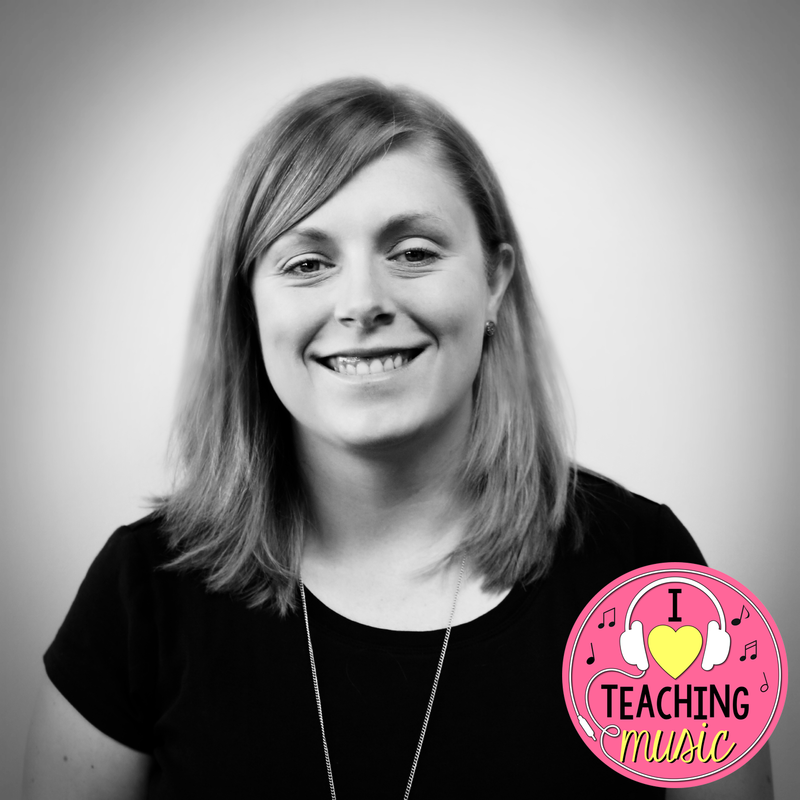 I think I’ll break my goals down into three parts each month – one goal for i ♥ teaching music, one goal for my school work, and one personal goal. Well… here goes! My goal for school work is to plan out the next month’s worth of lessons. I want to not only strengthen my sequence for the spring, but also address some holes I have in assessing my students and their progress. I have been going non-stop at school since I can’t remember when. At the beginning of the year I kept telling myself that I just needed to get to a long weekend to catch up. At some point I realized that I’m just not going to catch up and gave myself some grace so I wouldn’t beat myself up. I still get stressed out at the length of my to-do list (for school, home, and i♥tm), and there are times when my anxiety overwhelms me. My hope is to find some time to step back from the to-dos and focus on myself and my well-being. I’m not the one to take a personal/mental health day, but I will be looking for some things I can do to lessen my stress (going to bed on time will certainly help with that). Yeah… I know I should take a day here and there, but it’s just so much work to set up sub plans. I’m also in the middle of (what feels like) never-ending concert season, so there’s no good day to take. If I can make it through all of that, I will see if I can take a day mid-May if things still feel overwhelming. Thank you for your thoughts!